Ron O'Quinn is an American radio disc jockey born March 4, 1943 in McRae, Georgia. At the age of 16, O'Quinn began his radio career at WMGA, a station in his hometown of Moultrie, Georgia, where he worked at the time of his graduation from Moultrie High School in 1961. Shortly thereafter, O'Quinn joined the Army, where he became a machine gunner as an Army Ranger. In 1963, after finishing his time in the Army, O'Quinn jumped right back into radio with a move to WVLD in Valdosta, Georgia, then on to WROD in Daytona Beach, Florida, before ending up at WLCY in Tampa, Florida, where he went by the moniker Jack E. Rabbitt. While on WLCY, O'Quinn had the highest rankings ever earned in the Tampa market, a 60% share (Arbitron, released Summer 1966), a record that still stands today. Moving on to Miami, O'Quinn went to work for WFUN, where he became known as Jack Armstrong. 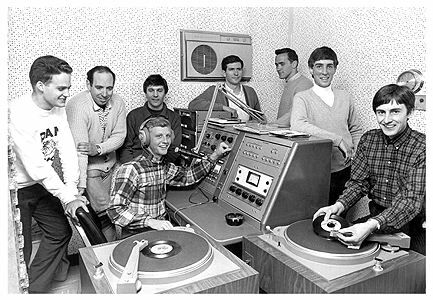 In 1966, O'Quinn left WFUN and headed to Europe to become Program Director of a new offshore radio station, 'Swinging Radio England', that was located off the coast of England in the North Sea. During his time at Radio England, O'Quinn accompanied The Beatles on their 1966 U.S. Tour. It is O'Quinn who coughs in the studio during the count-in to Taxman. Upon returning to England following the tour, O'Quinn was told he had 3 weeks to get his affairs in order and return to America, unless he left the employ of Radio England, in which case he could remain (due to the British government imposing restrictions against offshore pirate radio). Knowing that he couldn't remain in the UK jobless, O'Quinn left Radio England and returned to the United States. After returning home to America, O'Quinn worked for many top-rated stations, including a return to WFUN, WYLD in New Orleans, KYA in San Francisco & WUBE in Cincinnati, as well as being National Program Director of Urban Stations for Rounsaville Organization, an Atlanta-based company. Ron is regarded as one of the "Best All Time Disc Jockeys". His style was high energy, rapid fire, and always the top rated program in his time slot. 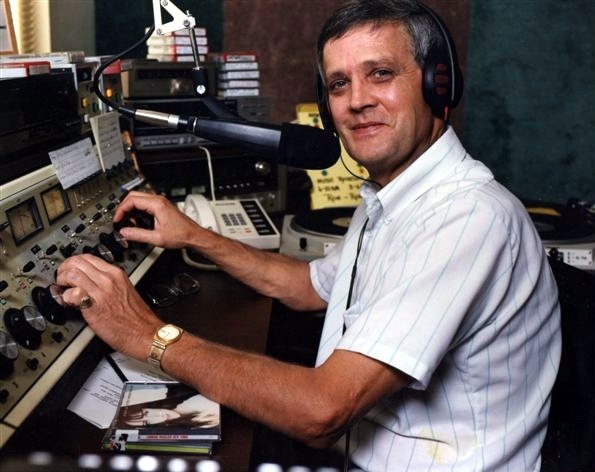 Ron is a member of the Pirate Radio Hall of Fame, and was an inaugural nominee for the Georgia Radio Hall Of Fame. On October 20, 2012, Ron was inducted into the Georgia Radio Hall of Fame as a Career Achievement Inductee. In August 2010, Ron made his return to the radio in Europe, recording from his own U.S. studio. From November 2015, Ron could be heard on Radio Mi Amigo International - Saturdays 9:00 cet on 6085 kHz Shortwave. Ron O'Quinn retired from broadcasting mid 2018 and now lives in Equador. Although he did not record any news shows anymore, we agreed to continue airing some of his older Mi Amigo shows until November 16, 2018, when Bob Le-Roi took over his vacant slot. We can only be grateful that Ron, a legend among offshore radio personalities from the 60s, chose our station to end his formidable radio career, amidst fellow 'ex-pirates'. Thanks for all the great stories, the music and enjoy your retirement Ron, you deserve it so well!